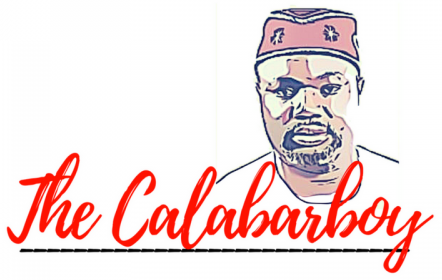 THE CHURCH FRANCHISE | Thoughts of a Calabarboy. THE CHURCH FRANCHISE – Thoughts of a Calabarboy. However comical and factual in existence some of these names are, it speaks to a larger concern in the religious climate in Nigeria today. I am not exactly qualified to comment on these phenomena, but I must say that the trend has become very laughable and is becoming more of a mockery to those who are walking and living in truth. I am actually more interested in another trend more worrisome to me, and that is the style of church expansion in the country and indeed around the world; it is not peculiar to Nigeria. A church is usually started at a particular place, but then after much increase, they typically expand to other locations under the same name and form. So one starts from Lagos, then expands to Abuja, then Port Harcourt, and then maybe a site abroad will be considered. In truth, there is nothing wrong with the wish to grow and expand a particular church, but under what motive? So we now have, for instance, a Church of Heaven based in Lagos, then a Church of Heaven in Calabar, then other branches springing up in various locations under that same name. 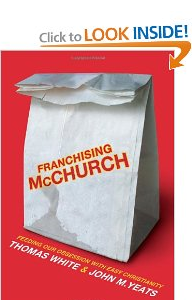 So what we see is that the church is operating a business model; opening branches or franchises all around in the name of spreading the gospel. Most times these branches are not opened because there is a need in the community, rather on the need to expand the business and increase membership. These churches are normally not autonomous units, but carefully managed from the head church as seen in most orthodox churches worldwide. makedisciples of them for God and to teach them all that Christ has taught us. At least this reason is well founded and cannot be contested by anyone who claims to know God’s mind. But what we find is that some church organization goes ahead to situation a new church branch in the same area where another church already exists, and sees nothing wrong with that. This is very typical of the Pentecostal churches. This is why you will find a Redeemed Church branch on the same street with a Christ Embassy branch, and further down the road you find a Baptist Church Branch. You can easily deduce then that the focus is not making new disciples, but expanding an existing business. Every time I see this happening, I become highly suspicious of the motive of such a church organization. There is of course a different perspective when the need arises to set up a church branch. But this happen when there isn’t an existing church there, or a proactive church that is reaching out to the community in creative ways. Until we enter an era when churches collaborate with each other and seek to focus squarely on the common purpose of making disciples, I am sorry to say, they are mostly business men in dire competition seeking to expand their channels of profit. How many preachers lead people to the Lord and direct them to another church as members? Why would a church convince a person to travel more than 10 miles to attend their service, even though there is a living church around that person? Something else is at play as you can rightly guess. Tunde Bakare is a popular preacher in Nigeria, and has become famous for his fiery disposition and forthrightness in addressing even issue on thechurch. A few years back, he shut down all the branches of the church he heads and when asked about it, he noted that God never instructed them to establish branches. They had only followed the man-concocted strategies for “church growth”. I wonder how many churches can make a similar decision and not stand the risk of being weakened financially. There is even a scarier dimension to this in that it is impossible for some hear God speak differently to them, since they are already set in their ways or the ways of “church”. ← WHO WILL TELL OUR UNTOLD STORIES? We need a new plan that has victory (soul winning) as it’s goal instead of one that consists of merely presiding over the demise of divided religious institutions. Strange isn’t it? they called Jesus those names too! The Guided Missiles Church actually exists in Lagos as I have seen it myself. This post seems aimed at pentecostal churches because no mention was made of the Catholic and Anglican churches that actually started this trend of church expansion. There should be however no pretense about the fact that the purpose of church expansion is not for the souls that will come to God from the venture but for the economic advantage it brings. I deliberately did not mention the more Orthodox churches like the one you put forth, because most of these historically expanded on missionary basis and moved into areas where you didn’t have a church existing. Reg,I agree with you to some extent.I so much believe in the saturation of bible believing churches.Though not evryone is giving the task of establishing numerous parish,but we must not nelect the fact that these parishes are of a great influence to pple around their community.I know it has been greatly abuse by some, but soon the shaft shall be seperated from the wheat. I do understand that Dapo, but must these churches be held under one central control? If the intention is right, won’t they just plant a church and allow it to grow on its own without any central hold on its activities? The vision of the RCCG is for evryone in Europe to profess Jesus as the Lord by 20…,How best can these be fufilled if not for the Redeemed church in europe to go with the vision.Shall we then wait for the headquater in Lagos to do the task? My point is this: the commandment of Jesus is to make disciples of all nations and that is the vision of the church. Establishing of churches is not the vision, but making disciples. It is not the sole reserve of Redeemed church to this, but the body of Christ. Therefore it is Redeemed’s role to partner with other churches in areas they want to share the gospel so that the body of Christ is moving forward instead of further being divided. It runs the risk of focusing on expanding the church rather than on expanding the kingdom reach. Great writing! However, we should not throw away the bathwater with the baby inside. The purpose of the church is not only saving of souls. It extends to the maturing of the saints to walk into their inheritance in Christ Jesus. Church expansionism in not the purpose, I agree. But that is a channel through which the church can fulfil her purpose. So, multiply churches and the channels increase when the right words are spoken with godly intentions. Spiritual things are more complex than the material. Our arguments might be beautifully laid out but we can as well be wrong altogether. Wasn’t able to read the whole post, but I have to wonder who decided on the names of these churches. Lol. Their names really cracked me up. Trigger happy??? ?